Michael Jackson was an entertainment phenomenon both triumphant and troubled, a dazzling performer who transcended barriers, transformed the music world and transfixed fans and non-fans alike in every corner of the Earth. But Tuesday’s memorial was not for that Michael Jackson. Instead, those closest to the legend gave us a glimpse of Michael Jackson the man. In a poignant and serene service, the portrait they painted was of a human just as remarkable, making his loss doubly painful to bear for those who truly loved him. “I just wanted to say … ever since I was born, Daddy has been the best father you could ever imagine. And I just wanted to say I love him — so much,” said Jackson’s 11-year-old daughter, Paris-Michael, before dissolving into tears and falling into the embrace of her aunt Janet. It was a deeply emotional moment, the most profound part of a memorial that accomplished what Jackson could not in life: humanizing a man who for so long had seemed like a caricature. How could someone who moved like he moved, sang like he sang, and reached musical heights no person has ever touched be as human as the rest of us? How could a man who threw a wedding for Elizabeth Taylor, had a chimpanzee as a companion, and wore masks to cover his surgically altered face be any part normal? How can a man who admitted he shared his bed with boys — though he maintained it was never sexual, as others suggested — be a decent man, closer to saintly than devilish? It took those closest to him, from his brother Marlon to his old friend Brooke Shields, to explain Michael Jackson to those who saw him as a talented freak — an image that deeply pained Jackson. So while Motown founder Berry Gordy talked about the child prodigy he signed at age 10, and pronounced him not just the King of Pop, but “the greatest entertainer who ever lived,” he also talked about the little kid who played catcher during family softball games against the Gordys, who cracked jokes and frolicked in the pool. Magic Johnson talked about the perfectionist who made him achieve higher heights as a basketball player, but also told of sitting around and eating KFC at his home. And Shields talked about a friendship in which laughter was central to it all. For Jackson’s family and the organizers of the memorial, it was a successful rehabilitation of the image of a superstar who had been derided for so long. The words “sweet” and “pure” had rarely been used to describe Jackson in the last two decades of his life, marked by allegations of child abuse, an ever-changing face, multiple lawsuits, eccentric behavior and what seemed to be one bad career move after another. Only true Jackson fans, a number that seemed to be dwindling year after year, seemed to remember the man who dazzled us with “Thriller,” made us swoon with delight with infectious grooves like “Rock With You” and “Remember the Time,” and conversed with presidents, kings and queens. Tuesday’s memorial reminded us of that Michael Jackson, too. The universally revered and admired former South African President, Nelson Mandela, offered words of condolences and love for Jackson in a statement read by Smokey Robinson. Rep. Sheila Jackson Lee, D-Texas, talked about how Jackson held court with African leaders in his bid to help slow the spread of AIDS there. And Maya Angelou, who was also represented by her words instead of her presence, offered a loving tribute for the entertainer in remarks read by Queen Latifah. For an entertainer known for his amazing music, song took a backseat to sentiment at the service. But when it was used, it was to great effect. His very biggest hits were not part of the program. Instead, what we heard were the songs that reinforced Jackson outside of entertainment. Longtime friend Stevie Wonder — who summarized the thoughts of many when he said, “This is a moment I wished I didn’t live to see” — sang his own “Never Dreamed You’d Leave In Summer,” originally intended as a bitter breakup song but repurposed as a sad goodbye. 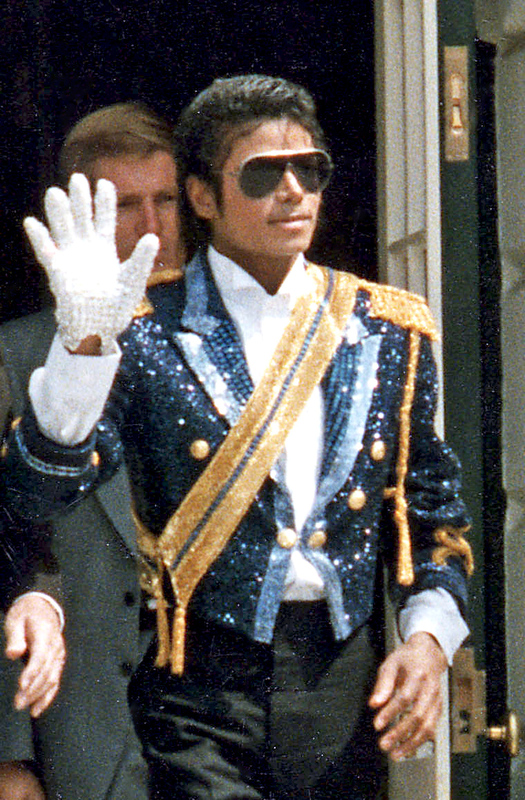 Usher’s heartbreaking rendition of “Gone Too Soon,” which Jackson wrote as a memorial for Ryan White, one of the early public faces of AIDS, captured the pain not only of his fans and friends, but of his family, as the Jackson brothers came together and gripped a sobbing Usher in their arms afterward. And Jermaine Jackson’s version of “Smile,” which Michael Jackson had often used as a metaphor for his own tragic life, was a fitting epitaph for his brother. Yesterday was a sad day to all MJ fans. Farewell king of pop! RIP.